Jack Cars, along with sgCarMart, is running a Trusted Brand showcase for a week, from today, 15 April, till Sunday, 21 April, from 10:00am to 10:00pm at City Square Mall. This is the second time that Jack Cars is running a Trusted Brand showcase with sgCarMart. A slew of new cars are displayed at the atrium of City Square Mall, offered at attractive prices. With a stellar track record since 1984, Jack Cars provides the assurance to count on them when you need to. You won't have to worry about after-sales support when you purchase from Jack Cars as they have a full-fledged service centre to cater to their customers' needs. Apart from the great deals, their high service standards also guarantee an enjoyable experience when you buy from them. Jack Cars is offering the brand new cars up for grabs at amazing prices. The cars displayed include Singapore drivers' favourites such as the Honda Vezel, Honda Shuttle, Honda Fit, Honda Freed, Toyota Noah, as well as the Toyota C-HR. 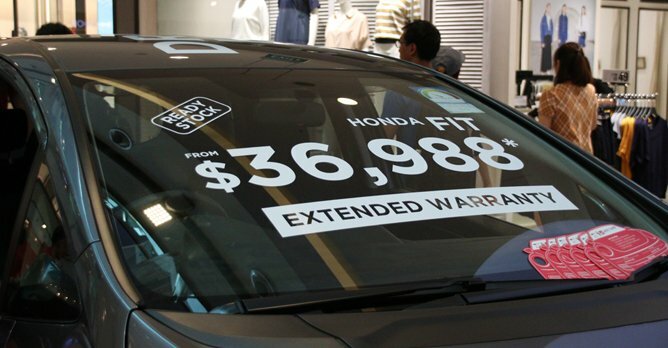 Prices start from as low as $36,988 for the Honda Fit and $53,988 for the Honda Vezel. Head down to the roadshow to find out more about all the deals offered! There's also an Instagram contest on site, where you can stand a chance to win a pair of return business class tickets to Bangkok! Jack Cars is also offering many earth-shattering deals exclusively for this roadshow. Purchasing a new car at the roadshow entitles you to a loan at an attractive interest rate of 1.98% and extended warranty cooverage for your brand new ride. There is also no need to wait for months to receive your new car as Jack Cars promises delivery in just three days! 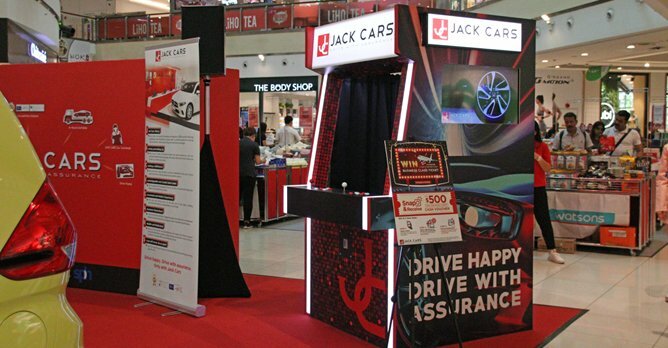 Apart from the cars, there is also a fun photo booth set up at the roadshow, visitors are encouraged to take a photo at the booth and participate in Jack Car's Instagram contest where a lucky winner will walk away with a pair of return business class tickets to Bangkok! You can also redeem up to $500 worth of Jack Cars Service Centre vouchers when you participate in the contest. What are you waiting for? Come on down to City Square Mall, where spectacular deals are waiting for you, and check out the cars on display!